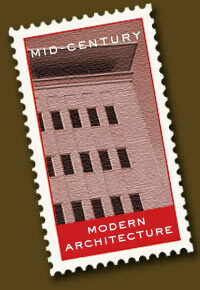 The Mid Century Modern Architecture Tour was developed by Jennifer McWilliams, Historic Preservation Project Assistant, in Spokane City/County Historic Preservation Office in 2011. The project drew upon the content of the May 2011 Modernism program conducted in Spokane with the assistance of the City/County Historic Preservation Office, Spokane Preservation Advocates, the Northwest Museum of Arts & Culture, Anderson-Mraz Design and State Architectural Historian Michael Houser. Funding was through a Certified Local Government grant awarded by the Department of Archaeology and Historic Preservation and supported by the National Park Service. Special thanks are extended to Michael Houser, Marsha Rooney, Kathy Holte and volunteers at the Northwest Museum of Arts and Culture, Ann Martin of Heylman Martin Architects, and Dr. Matthew Cohen and Cameron Johnson of Washington State University.